Successfully Added Car Sun Visor Bluetooth Handsfree With Swivel Arm to your Shopping Cart. Wonderful and portable handsfree Bluetooth device with adjustable volume control and swivel arm microphone. This new portable handsfree speakerphone attaches onto your cars sun visor via a magnetic clasp and the multi-function swivel arm acts as an on/ off switch. 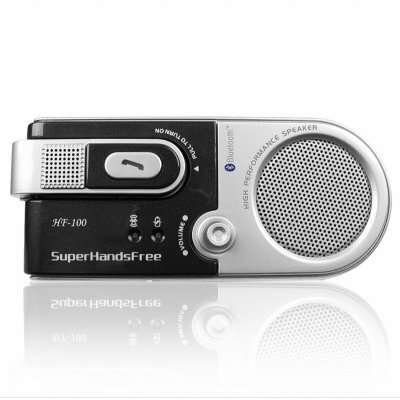 This handsfree set has DSP (Digital Sound Processing) for clear sound and no istallation costs. Enjoy Handsfree communication brought to you with Chinavasions no MOQ policy and blind shipping to anywhere in the world. Order your sample today!.